Are you ready to be done with the old? Like once-and-for-all kind of done? There’s something special about full moons (I love them!) and it is said to be a very powerful time for healing. It’s a belief of course and not a scientific fact, but I’ve always loved to give healing sessions around full moons because they do feel special to me and on December 14th we have one coming up that is also a supermoon. Supermoons are said to be even more powerful as its energies are closer to earth than normally. This full moon is also the last one of the year so I felt guided to use it as a way to be done with the old and come to a completion with one phase of life before we turn the page to a brand new year. So the next distant group healing session is going to be focused on an energetic clearing of the old. Once the energy cleanse and release process is finished you’re ready to move forward without all the extra energetic baggage you have been carrying around with you up until now. To me the full moon time is always about coming to completions of one cycle before the new can begin so in this healing session I will be focusing on clearing you of the old and recharging you with the new. This session can help you to be done with the past and finally leave it behind you before you venture on to new adventures and experiences in life. Do you feel ready for a fresh start? If you feel done with the old and ready for the new then join in on December 14th and make yourself ready for new beginnings and breakthroughs in your life. 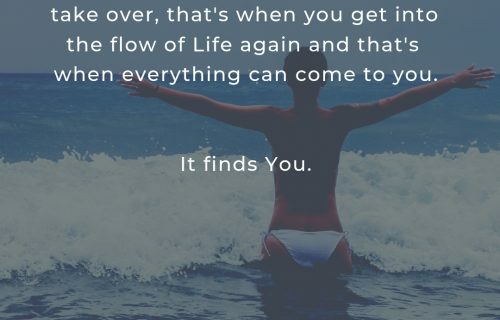 Feel the healing energy wash over you, cleansing, and purifying and completing this stage of your life, whatever that means to you personally. I will also invite you to do a ritual/symbolic act as well in addition to the intention I always ask you to state to yourself and will share it with you a day or two before the healing session takes place. “I’m done with the old and ready for a fresh start!” Distant Group Healing Session is on December 14th at 6 PM CET/9 AM PST/noon EST (check your time on the registration page/link below). Click on the moon if you’re ready.